Would You Use A Local Currency Instead Of A Federal Reserve Note? As the economy continues to limp along, and with the recent announcement by the Federal Reserve that low interest rates are likely to continue into 2014, an increasing number of people are skeptical of the currency that we accept as legal tender. Federal Reserve notes are starting to fall out of favor. But what can take their place? Some investors decide to invest in precious metals as a way to hedge against inflation and the loss of value expected of the U.S. dollar. Others, though, have decided to turn to local currencies in order to transact business. 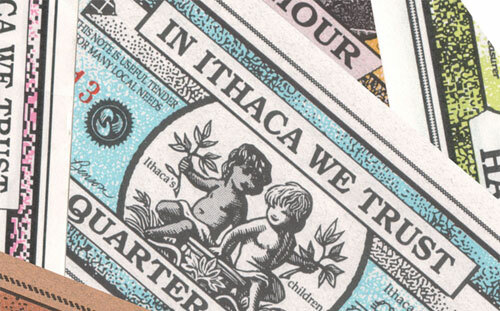 Local currencies have almost always been a part of the economic landscape in the United States. Indeed, even in Colonial times individual colonies, cities and even banks issued their own currency notes. The tradition has continued throughout the years, although the practice hasn't been much in vogue — until recently. Since the most recent recession, local currencies have been on the rise again. Localities issue notes that can be used at businesses in a specific area, creating an economy that is more insular than that of the wider U.S. And, of course, because the currencies aren't accepted outside the retailers and tradespeople willing to accept the currency, more of the money stays in the local economy. There are even some digital currencies (beyond the money seen in virtual worlds like World of Warcraft and Second Life), used online amongst members who agree to honor the currencies. Local currencies range from paper notes, to digital currencies, to metal-based. In some cases, states are drafting legislation that opens up the ability to use alternative forms of currency, usually gold and silver coins. Most local currencies have a set exchange rate so that you can turn in your Federal Reserve notes for a specific value in local currency. You can then use the currency to make purchases, and choose to accept the currency for your own products or services. If you use the local currency, and amass value in the local currency, you will be protected to some degree in the event that the U.S. dollar as we know it now collapses. Would You Use a Local Currency? The idea does sound nice: You boost the local economy, and create a situation where a currency has more perceived value. Plus, you keep your options open — just in case the Federal Reserve System falls to pieces sometime soon. However, there are downsides to a local currency. One of the biggest issues is that any system of exchange relies on the idea that people have faith in it. Even something tangible, like gold, requires that people agree on its “value.” All forms of money and investment are subject, in some degree, to public perception. If the public perception of a local currency falters, then it could become worthless. And, if you have exchanged a large number of your Federal Reserve notes for a local currency that tanks, your losses could be quite large. What do you think? Would you use a local currency? Should You Itemize Your Tax Deductions? For years, my husband and I just took the standard tax deduction, and were happy with it. After all, that deduction is fairly hefty. Then, my home business started making money (and our contributions to our church rose correspondingly), and we bought a home. Now, suddenly, we had a higher amount that we could deduct — and it was more than the standard deduction. We started itemizing our tax deductions. Do Your Deductions Amount to More than the Standard Deduction? Uninsured medical and dental expenses: If you paid out of pocket for medical and dental expenses, these can be deducted. Your expenses must exceed 7.5% of your Adjusted Gross Income, though, if you want to deduct them. For some, though, who have high deductibles, and for those who don't have dental insurance and had major work done, this can be a real help in offsetting some of the costs. Interest and taxes on your home: The mortgage interest that you pay is tax deductible. Additionally, your property taxes are deductible. 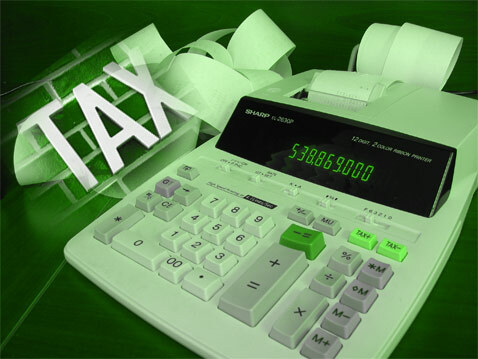 Unfortunately, as 2011 expires, so, too, does the tax deduction for PMI premiums paid. But, you can still get a fairly hefty deduction for interest and taxes on your home. Unreimbursed employee business expenses: If you spent a great deal out of pocket on behalf of your employer, for business-related items, and you were not reimbursed, you can receive a tax deduction for that. Make sure that you keep good records of the expenses incurred, including receipts. Miscellaneous deductions: In some cases, you might have large, unreimbursed expenses that don't readily fall into any category. With proper documentation, you can deduct these as well, but you might want to consult a tax professional before you do. Uninsured losses due to theft or casualty: If your home was hit by a disaster, or if you have had a theft, you might be able to itemize those deductions. First of all, any theft or casualty tax deduction has to be on expenses that were not covered by your insurance company. If you insurance company paid for repairs, you can't deduct that amount. You can only deduct the amount using a formula provided by the IRS on losses not taken care of by insurance. Charity donations: Large charity donations to qualified non-profits can be deducted as well. If you make large enough donations, it can overwhelm your standard deduction. There are other eligible tax deductions as well. You don't need only one of the above to exceed your standard deduction in order to benefit from itemizing. You can add up as many items as necessary to get your total. It's this total that matters when determining whether or not you have more than the standard deduction. And, if it looks like you will have a larger number than the standard, it's a good idea to itemize in order to increase your tax efficiency. 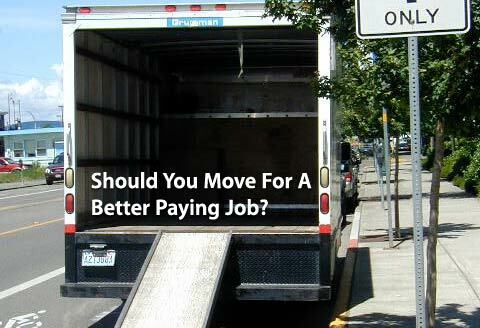 Should You Move For A Better Paying Job? Recently, Kiplinger released a list of cities with the best paying job opportunities. It is no surprise there there are a number of people hiring movers and trying to get to these areas. The site also has an interactive map that shows where the best paying jobs are — and the worst. I'm not surprised that the major cities in my state of residence, Utah, are among the worst paying in the nation. I've seen first hand how much people can expect to make here. Some of the cities with the better paying jobs include Washington, D.C. and Manchester, New Hampshire. The rankings were based on the number of job openings available that pay more than $50,000 a year. The idea is that you can look at some of those cities with higher paying jobs, and consider whether or not to move to any of them. It doesn't seem like a bad plan, as long as you actually do plan. Do You Have the Skills to Land One of Those High Paying Jobs? One of the first things you have to do is honestly evaluate yourself and your skills. Are you qualified for a higher paying job? In many cases, higher paying jobs require some sort of certification, or education. If you aren't qualified for the better paying jobs, it might not do you any good to make the move, since you won't be any better off. Before you pick and move cities, check to see what kinds of job openings are available, and make sure that you are qualified to work them. Have You Considered Cost of Living? It's great that Washington, D.C. has a relatively high number of $50K+ jobs available. But, stop and think for a minute: How far would $50K go in D.C.? I mean, if you wanted to have a high quality of life. One of the things you need to take into account when figuring out where to live is what things cost. How much is housing? Food? Transportation? You also need to decide what kind of neighborhood you want to live in. If you want a higher quality of life, you have to pay more for it. Many people can't afford to live the good life on $50K a year in some of the cities that have high paying jobs. 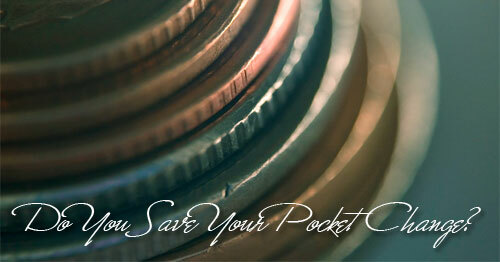 As you consider the cost of living, contemplate what it would do to your disposable income. After you pay all your obligations, and take care of your needs, what's left over? Sure, you're not going to receive good pay here in Utah. However, $35,000 a year will go further here than $50,000 would go in D.C.
With my current annual income, I live pretty nice here in Utah. I have a home that I can afford — with a mortgage payment that is less than 1/5 my monthly income. Food prices are mostly lower than what I paid when I lived in New York, as are utilities, gas prices and other expenses. If I were to move somewhere else, my money wouldn't go nearly as far, and I wouldn't be able to enjoy a lot of things that I get to do now. Before you become too excited about the prospect of making more money by moving, consider the factors involved. You might be better off staying where you are and earning a little less. Being obese is no joke. There are higher food bills, higher insurance premiums and higher medical bills. So if you are looking to save a substantial amount of money, consider joining a gym and committing to a healthy diet plan. You'll look and feel great, and be able to put several thousand extra dollars into your retirement account. Cigarettes, emphysema, and lung cancer are just a few of the typical costs associated with smoking. However, the costs can be even higher if your health insurance provider finds out that you are a regular smoker. So give yourself back a minimum of $1,200 by putting down those cigarettes once and for all. While we all may enjoy the occasional drink to unwind, enjoying a few regularly or hitting the bars each weekend can lead to steep bills. However, if you have vowed to give up drinking for the new year, you can save yourself nearly $1,200 annually and improve your overall health. So before you order another fancy cocktail, think about what that money could be spent on instead. Going green and finding a new job are also great resolutions, but they generally require additional investments which may make their return a little longer to see. With these resolutions there are generally solar panels to buy or tuition at one of many pharmacy technician schools to pay for – which aren't exactly cheap. However, by giving up vices and dedicating yourself to a healthier lifestyle, you can actually improve your overall quality of life and increase the size of your savings as well.